It may feel like summer just ended but I have gotten a lot of questions about summer programs so here are new listings and revised links. Some of these programs change their web site addresses annually. If the link I provide doesn’t work, don’t give up, just google the program name and let me know. If you would like me to delve into new areas, send me a request. Free programs are great not only because they are free (!) but they tend also to be much more impressive to colleges (because they tend to be selective). Many of the best ones (free and selective) require applications prior to Christmas. Vermont Trout Camp is June 25-29, 2017. Campers (age 13-16) will be introduced to the basics of fly fishing through a series of fun and engaging outdoor activites. Participants will learn from some of Vermont’s most accomplished fly anglers and conservationists. Campers will learn about fish biology, fish habitat and stream ecology as well as aquatic entomology. $450. There is also a Maine Trout Camp. High School Great Books Program at Thomas Aquinas College. Each summer for two weeks, high school students from around the country join members of the teaching faculty on the campus of Thomas Aquinas College for spirited conversation, engaging firsthand some of the best works of the past 2,500 years. They read and discuss works selected from the masters of the Western intellectual tradition, including Plato, Euclid, Sophocles, Shakespeare, St. Thomas Aquinas, Pascal, and Boethius. In addition to daily sports, occasional movies, and hiking in the hills surrounding the campus, the program includes trips to the Getty Museum, a concert in Los Angeles, and Santa Barbara for volleyball on the beach and exploration of the historic city. Open to students who have completed three years of high school by summer 2017. Cost is $975 for tuition, housing, meals, books, and organized activities off campus. Texas Tech Clark Scholars The Clark Scholar Program is an intensive seven week summer research program for highly qualified high school juniors and seniors. The Program at Texas Tech University helps the Scholars to have a hands-on practical research experience with outstanding and experienced faculty. The program is FREE and Scholars will receive a $750 tax-free stipend as well as room and board. Applications must be received by February 8. The NH Police Cadet Training Academy is open to non-NH students. $135. 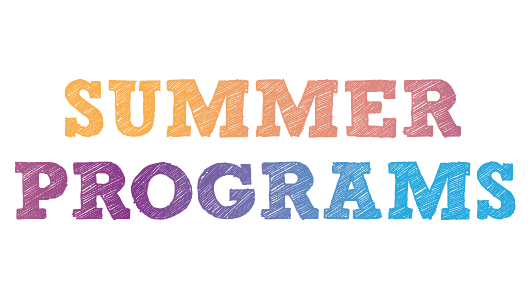 I know that summer just ended but I have gotten a lot of questions about summer programs so here are new listings and revised links. Some of these programs change their web site addresses annually. If the link I provide doesn’t work, don’t give up, just google the program name and let me know. If you would like me to delve into new areas, send me a request. Free programs are great not only because they are free (!) but they tend also to be much more impressive to colleges (because they tend to be selective). The best ones (free and selective) require applications prior to Christmas. Habitat for Humanity offers 7-10 day Learn & Build project trips for $550 (also tax-deductible) for teens ages 16-18. You choose your job site building houses and living with your team. You need to get yourself to the site but there is likely to be one near you. My son did this in Milwaukeee last year and loved it.